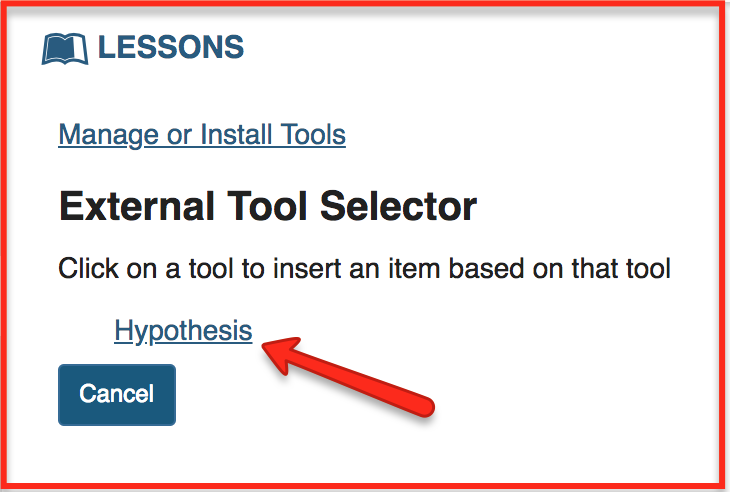 Currently, the Lessons tool is the only place where we have been able to add Hypothesis-enabled readings to a Sakai course. We are researching other places in which an external tool like Hypothesis can be added to Sakai. Let us know if you can think of any! 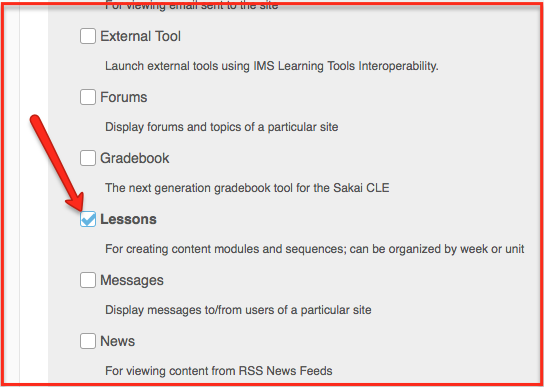 Some Sakai instances do not enable the Lessons tool by default. 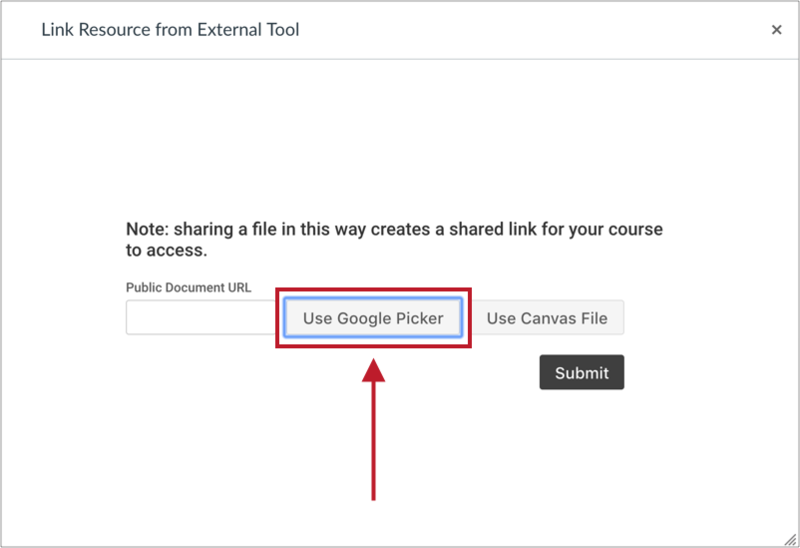 If you do not see it in the left navigation menu of your course site, you’ll need to add it manually. Scroll to the bottom of the page. Click Continue, and on the next page click Finish. 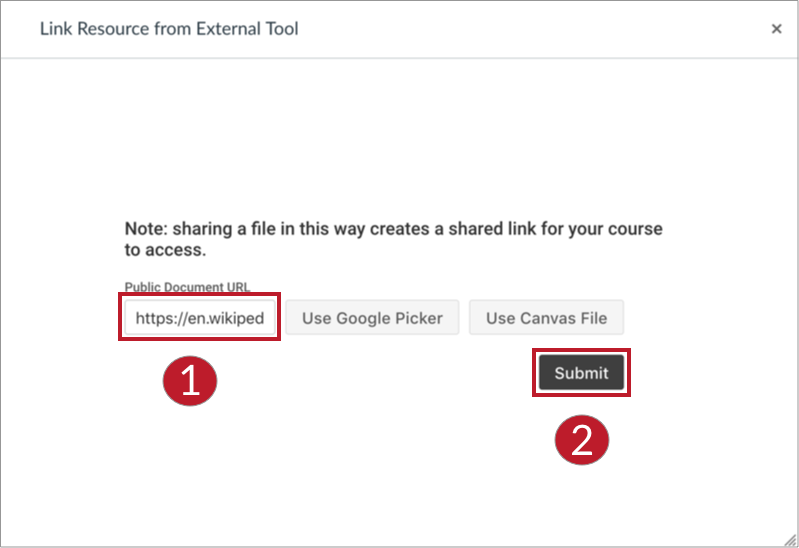 If you need assistance with adding the Lessons tool to your course site, please consult Sakai’s documentation or your institution’s LMS team. 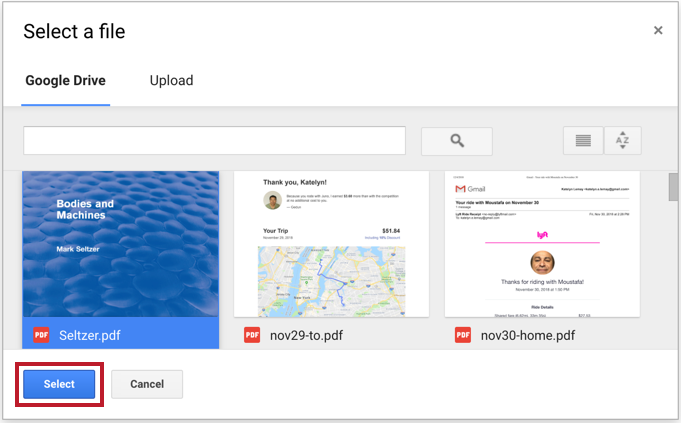 Click Save and you will be brought back to your Lessons page. 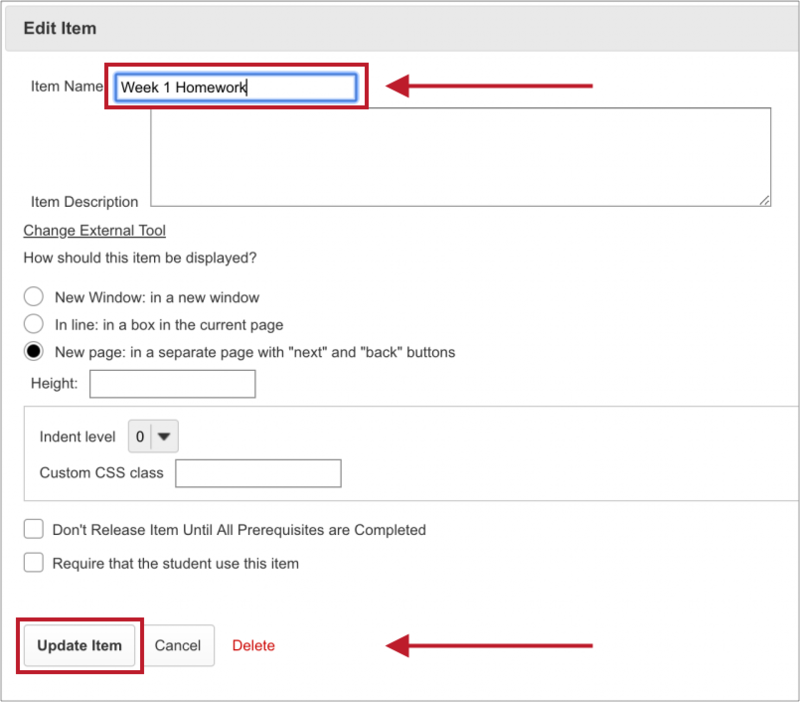 You’ll be brought back to your Lessons page, and the name of your Hypothesis-enabled Content Item will have changed. Click on the title of the Content Item. 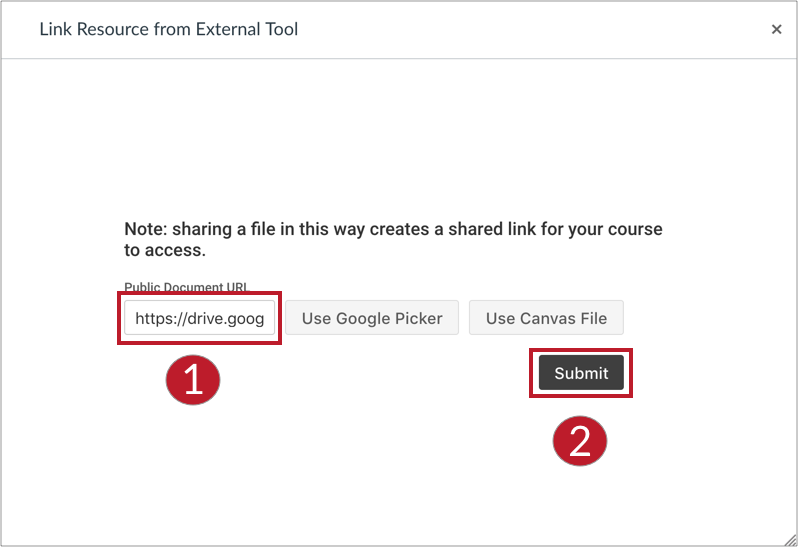 You will have the option to enter a publicly-viewable URL (See Step 4A) or to add a PDF from Google Drive (See Step 4B).